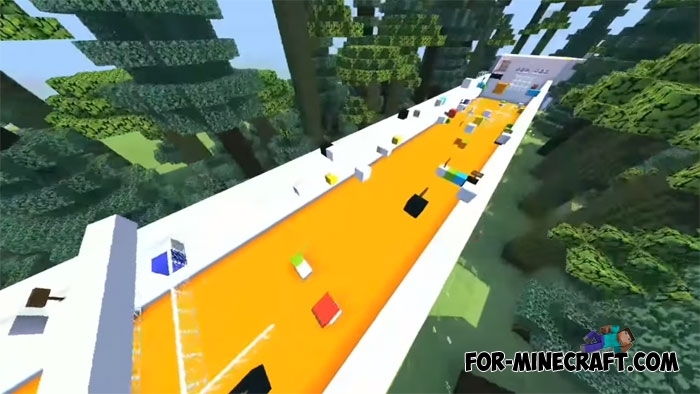 And here's another interesting enough parkour map with some important features. 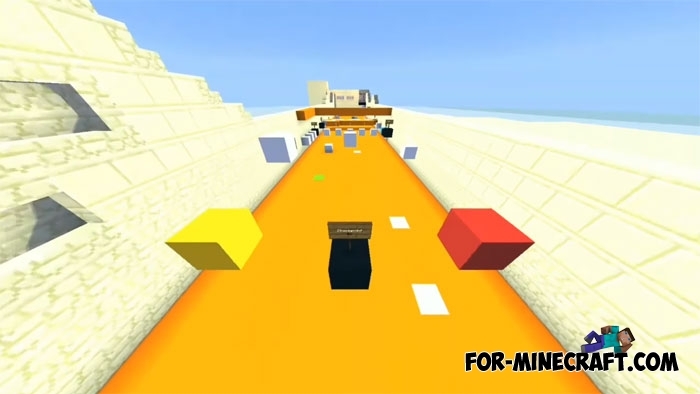 If you recall the past maps of this genre, there are no special blocks that give some advantages. Read the information on the spawn to know what exactly will give you this or that block. 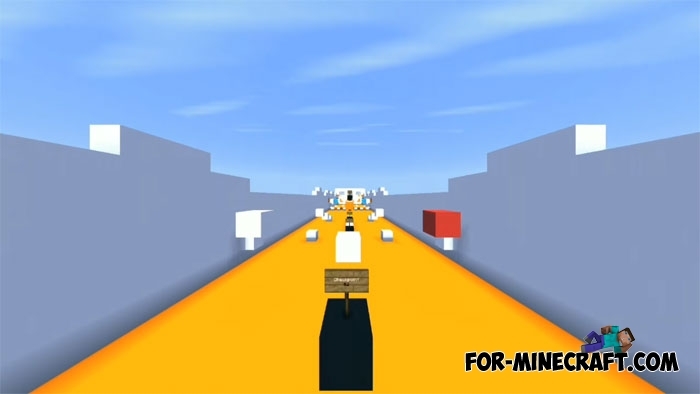 During the passage, stand on the blocks that are important for the level. For example, if you need a hyper jump then look for a block that will give you this ability. The idea of this is more like racing games with elements of parkour such as Sonic. The map requires concentration and attention and works on MCPE 1.2. 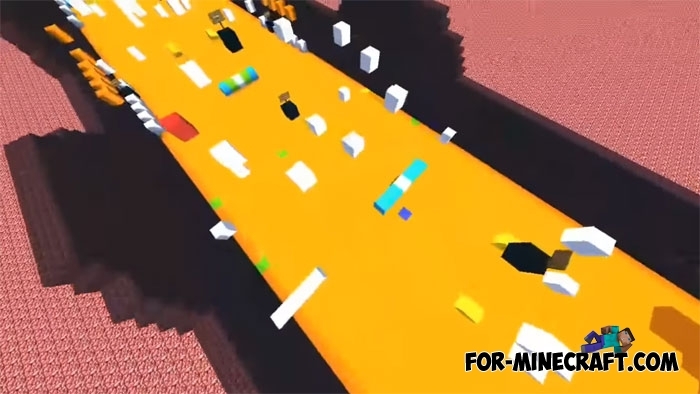 Racing Kit map (MCPE 1.1.1)The Racing Kit map works in conjunction with the addon which adds several new racing cars..